You Are Here:Home / BLOG / Do You Have Driver Visibility? Courier drivers are the trusted middleman to get your shipments to where they need to be in a timely matter. ShipTrack allows for full visibility and control over which drivers are assigned to each job. In addition, their location at each leg of their journey is tracked via the GPS location finder. As a result ,dispatchers have the comfort of knowing that shipments are in good hands at all times. This ensures they are always on track and being dealt with following correct procedures. The GPS location finder works through the devices that are given to each driver. The devices can be rugged handhelds or their mobile phone. While drivers are logged into the app, the location pings back to the dispatch portal. Therefore dispatchers know exactly where the driver is at every point of the delivery or pick-up. Employers have the access to view where and when drivers are logging off for rest stops or are in work-mode. If a driver is delivering in an offline area (no cellular service) the GPS location data will be stored. As soon as the driver is back to regular cell service the data is auto-updated. As a result there are no blind spots in the drivers journey. The GPS tracking is shown in real-time action, with no lag time. The dispatch portal enables the dispatch operator to see each driver on-route. Alternatively, the entire fleet is visible across the map. This is a very visual representation of exactly where your fleet is at all times, as well as how many jobs each driver has on the go. The number on the truck icon determines how many jobs they have at that time, as well extra details on the delivery, such as ETA, priority etc. Different colors of the truck icons determine which job they are on. For example, a green truck means the job is in action, a red truck is a driver who is online but with no jobs on the go and a grey truck is offline. In the case of a grey truck, the location is pinged to the last spot they logged off. ShipTrack takes security seriously, and understands that a businesses shipment’s are of high value and need to be trusted to the most reliable of employers. This feature is not only beneficial to the vendor, but to the drivers as well. If any accident or situation occurs, the driver has a backup of security to cover their tracks. This creates open communication between both the vendor and the employee, allowing for full transparency of the chain of custody. This open communication provides a stronger company culture, and more efficient delivery jobs. The GPS Feature is an innovative perk for an organization to have in their arsenal of system tools. 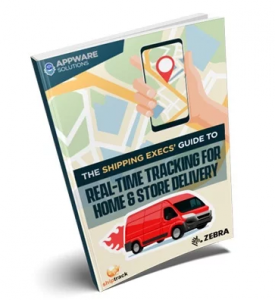 They provide a competitive advantage against more dated courier companies who track every employer through manual dispatch or pure reliability. This allows for automatic location updates and full control of their team of drivers at all times. ShipTrack enables a secure, reliable and transparent work ethic through driver visibility. Download our ebook to learn more about how fleet vehicle dispatchers are benefiting from GPS-based tracking information and data.